The best bottles for summer are light, refreshing and noticeably low in alcohol. 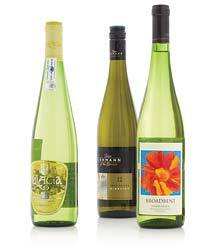 F&W wine editor Ray Isle names his favorites, from Riesling to rosé. These are all between 10 and 12.5 percent alcohol—considerably less than some wines, which can reach up to 15 percent alcohol or more. Made entirely from Viura, the primary white grape of Spain’s Rioja region, this lively wine has pear and lemon flavors that finish on a light, earthy note. A blend of Sauvignon Blanc with Chenin Blanc, Chardonnay and Sémillon, this apricot-inflected white comes from one of South Africa’s oldest wine estates, where vines have been planted since 1791. Lots of Muscadet is industrial plonk. Hubert Rousseau, who owns this western French property, makes exactly the opposite: a handcrafted white with fragrant seashell, lemon-zest and green-apple notes that restore one’s faith in the region. Fred Loimer is one of the next-generation leaders of Austrian winemaking. 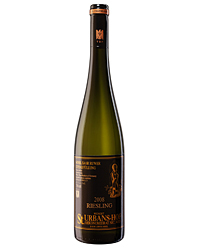 His most affordable white shows the herbal-peppery citrus notes that are characteristic of good Grüner Veltliner. The Tedeschi family has been making wine in the Veneto region of Italy since 1824. 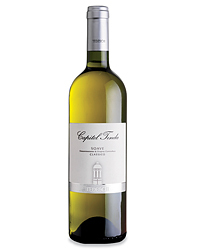 Among its broad range of bottlings is this white, which combines luscious melon and nectarine flavors with a lightly spicy finish. La Scolca is known for its aromatic Gavi, the most famous white wine of Italy’s Piedmont region. But its lightly earthy, berry-rich rosé is delicious, too. Cool herb and lime notes make drinking this Riesling a distinct pleasure. It’s from a winery on the southwestern tip of Australia, south of Perth. Australia’s Brokenwood is known for crisp, laser-sharp Sémillons. This white variety is lemony and tart when young, then becomes nutty and rich with age. Loire Valley winemaker Pierre Breton has a deft touch with the juicy, wild-berry flavors of Cabernet Franc. This terrific bottling is made with organic grapes.